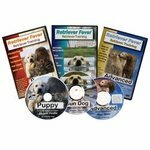 Retriever Fever DVDs from Dustin Retrievers. Do you have Retriever Fever? 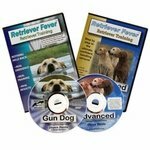 For years Dustin Retrievers has been asked to make Retriever Training Videos from the many clients and people that have attended their seminars and seen their shows and dog demonstrations. So after almost 2 years in the making they are here!